The entry into Goa's Dabolim airport was completely different than the smoggy rush of Mumbai. There was the same bureaucracy - the taxi unions have an iron grip on travel so prices for a ride into Panjim are extortionate and the shoving necessary to get a ticket would send an order-seeking Scandinavian into a dead faint - but rather than the potent cocktail of human habitation I'd just left, the air wore a thin veil of woodsmoke which would prove to be omnipresent. Nervous but ready to get started with the motorcycle portion of the adventure, I needed to track down a viable bike. In what would prove to be a consistent theme, the hostel receptionist "knew someone who could help". I ended up halfway on the back of a tiny moped that sped through the streets and down to the transportation corridor where the rental stalls were located. Not only did I discover that the tyranny of the taxi lobby had destroyed the ability to take rentals outside the state, forcing me to completely change my itinerary, but the fella who took me down there tried a shakedown of hard currency for the favor. There's no question that I hardened my "nice guy" facade as a result of so many scammy interactions. You quickly learn to plant your heels and specify EXACTLY where you're going, what you'll see, and how much it will cost when someone grabs your arm and says "no, no, no, come come.". Everyone is hustling. Panjim is a beautiful little town. Its roots are in the Portuguese habitation so it blends their old European style with the local chaos. I ultimately managed to overpay for an awful 200cc KTM Duke which had barely enough power to get up an onramp but was able to hold together in one piece on rough roads. Putting my 6 foot frame onto this toy bike was akin to an elephant driving a clown car. Combining that visual spectacle with a careful driving style designed to ease my transition into the murderous traffic and opposite-side roads, I was a site to draw stares. The ride to Anjuna Beach, which had been hailed as a hippie haven, took 2 hours to go 12 kilometers. Even though the roads weren't the packed city thoroughfares of Mumbai, traffic and only occasional paving slowed everything to a crawl. 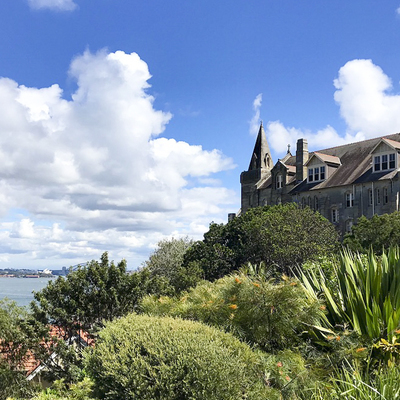 That said, the smaller roads along the coast were almost pleasant in places and the dotting of old forts provided good excuses to stop, stretch and take in some history. 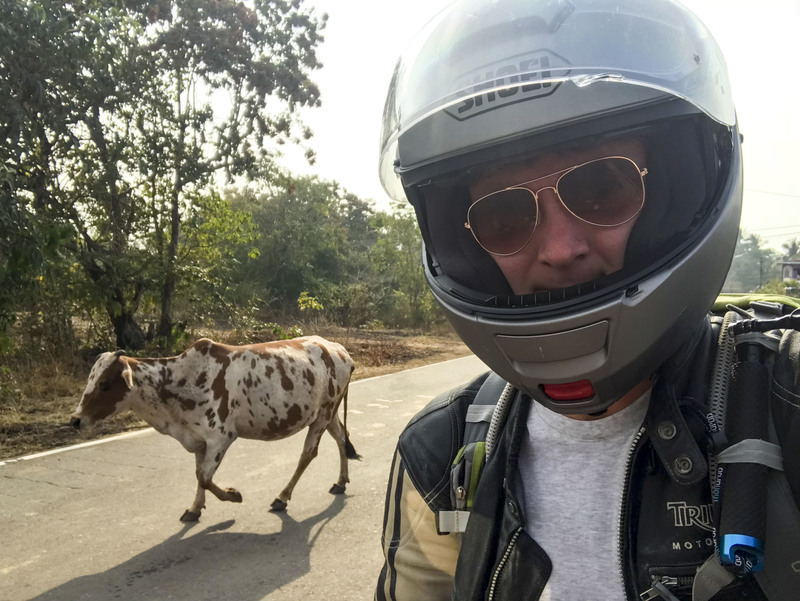 Unlike riding in the US, where you can find stretches of open highway that lead to blissfully zen moments, riding in India was always stressful. The road surface is awful and traffic flows much more organically than the sometimes-painted lanes would suggest. More importantly, as a motorcycle, you are the lowest member of the food chain so it's your job to get the heck out of the way of larger vehicles. Death literally lurks around every corner, where oncoming vehicles take no care about staying in their lane. Closer to Anjuna, the roads devolved into literal cow paths and it's a miracle that I was able to find my way to lodging for the evening. I arrived far more tired than I could have expected but that just made a cold beer atop a beachside bar all the more blissful while the sun set. Traveler's tip: download Google Maps offline for every area of the country while you have decent internet. That totally saved my bacon -- I was able to travel in remote areas with no service because of it. Anjuna wasn't at all what I expected. 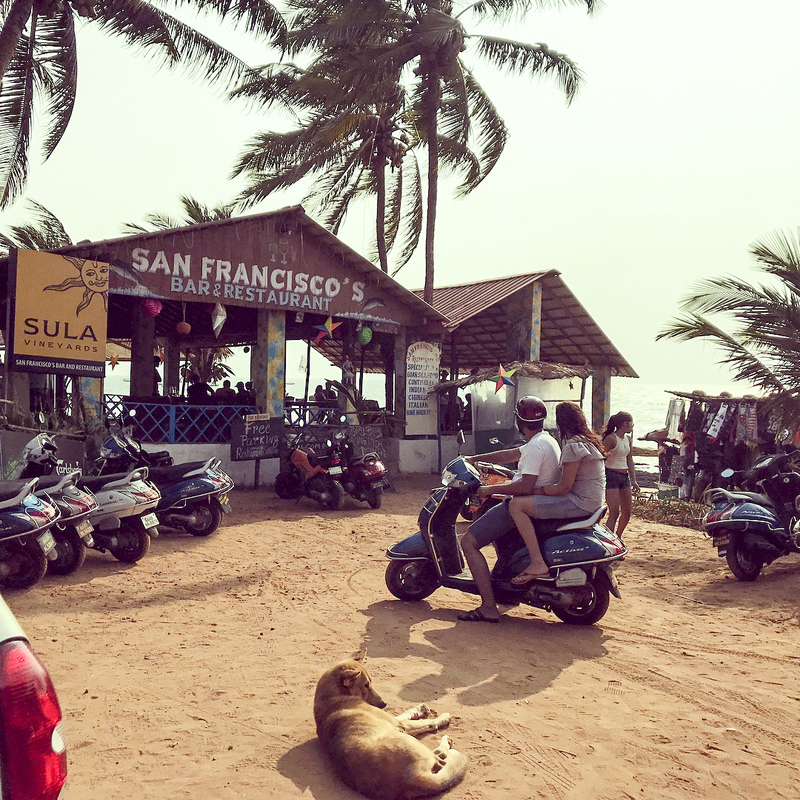 Rather than a basic but soulful smattering of hippie huts, it was a run down beach lined with bars that blasted party music and it was packed with Indian men (almost no women) and stray dogs. The wooden structures looked like a strong gust of wind would knock them down and farm animals wandered freely down the dirt paths that connected everything behind the scenes. 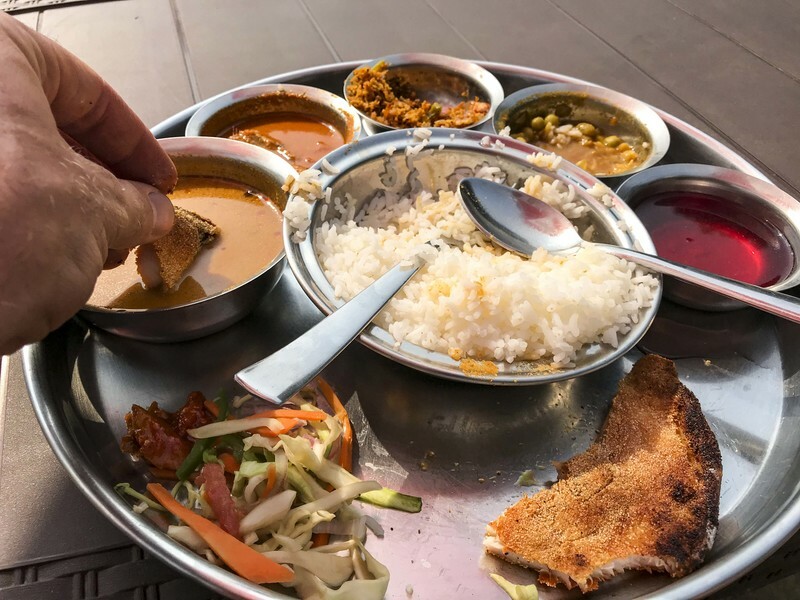 Regardless of the content of any particular place, the one consistency throughout India was excellent food and no meal in Goa or elsewhere was anything but a treat for the senses. The first night in Anjuna, I went out with some new friends for a feast at a local restaurant which left me begging for more space in my stomach. It is fantastically easy to be vegetarian in India. I've been significantly reducing my meat consumption but that is more difficult in some places than others. Indian restaurants generally had options with chicken or lamb but the quality of the paneer (sort of like cottage cheese) and the richness of the spices elevated vegetarian dishes to the level where it was completely unnecessary to have meat at all. 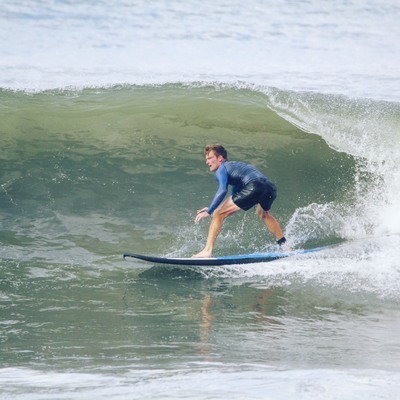 I spent the next day exploring nearby beaches to see if there was anything more my speed. Alas, Baga was even more of a "spring break" party destination and had some of the jarring contrasts I've seen. 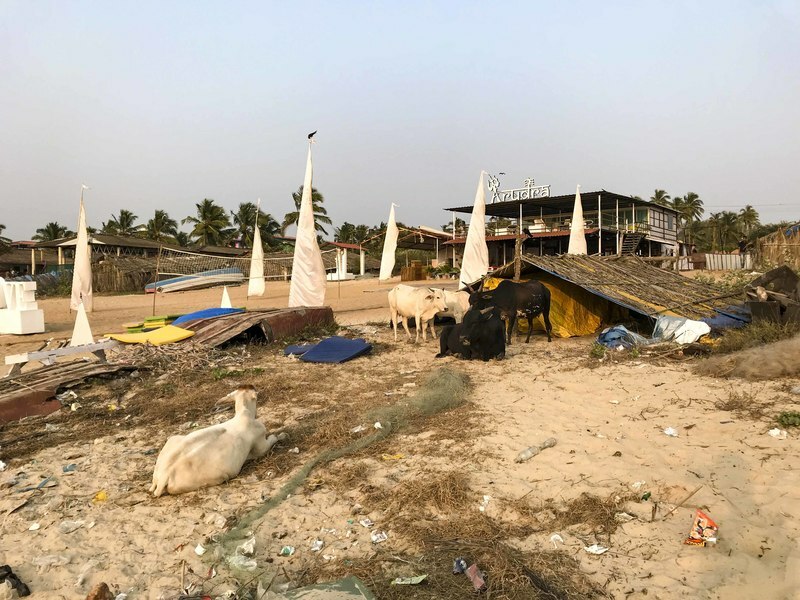 A typical stretch of the beach would have a "fancy" club blasting dance music next to a run-down hovel covered in garbage and picked at by roaming animals. Though it was certainly outside my locus of experience, I couldn't fault the utility of the locals letting their cows wander to forage for food. Particularly exasperating, though, was when I rode home at night and a farmer was herding a group of completely black cattle down the middle of the road with no lights. One of many, many experiences that made me question the value of life. Before leaving Anjuna in search of quieter beaches, I went for a morning run on the sand and ended up with some unexpected companions. Stray dogs could be heard every night barking and fighting but tended to leave humans alone. Clearly, a morning jogger was the exception and worthy of a chase. Good thing a flip flop could provide sufficient deterrent to keep things civil. The experience, though, made me distinctly conscious of the fact that Rabies is 100% fatal once manifested and that I'd declined my inoculation. Rabies is most commonly spread by dog bites and scratches and is a problem in the more rural areas of India. I was surprised to learn during my pre-trip vaccination appointment that the Rabies vaccine doesn't actually convey full immunity. It only buys you a few extra days after a bite during which you still need to get to a hospital and receive localized shots. On the advice of another traveler, I opted to head south. 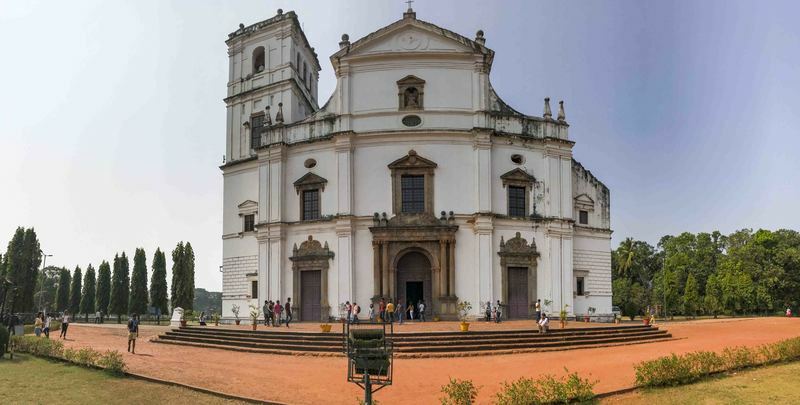 Passing through Old Goa was a treat. The town is the former capital of Portuguese India but was abandoned due to an outbreak of plague in the 18th century. 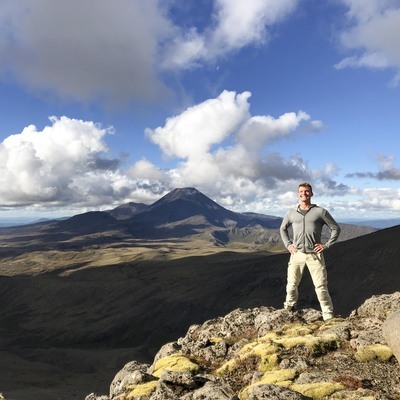 Now, it is still home to massive colonial-era monuments and cathedrals with scale that rivals those in Europe. As always, I proved to be more interesting to local tourists than the sights themselves. 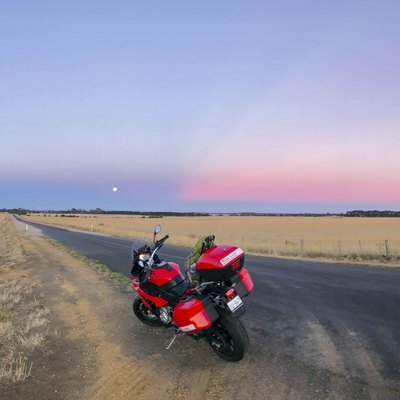 Further south, the road began to wind into the hills and the other cars started to disappear, providing moments of genuine riding pleasure for the first time. The air cleared up and even wore a faint perfume of honeysuckles. And, as usual, the road was frequently shared with the local livestock. I rolled into Palolem with high spirits and wasn't disappointed. 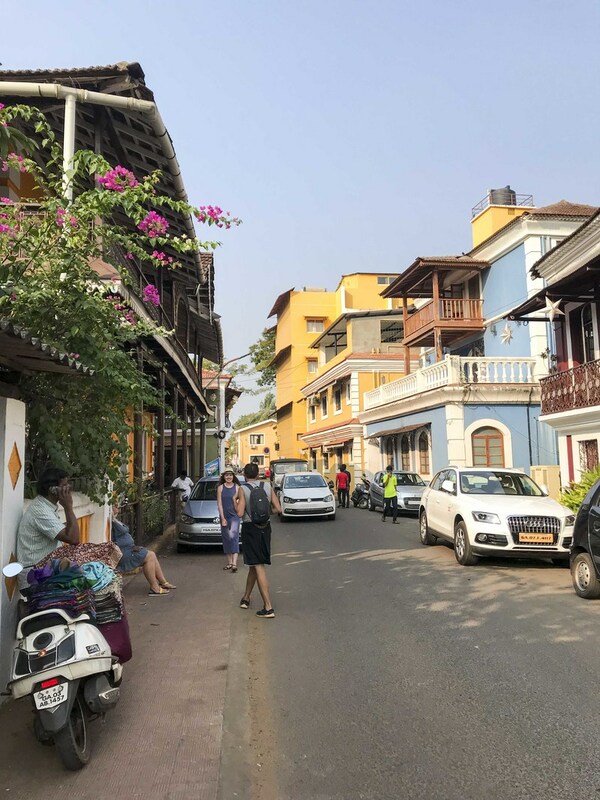 Rather than the run-down party atmosphere of northern Goa, Palolem had more of a yoga vibe and was dotted with cafes and raw smoothie shops. It felt like an Indian version of Tulum, MX. I wish the same peace had extended into my hotel room, where the gunshot bang of coconuts hitting the roof at odd intervals kept me wakeful through the night. The following morning kicked off with a great swim across the bay and a chance to finally meditate atop a small island in the middle. The massage which followed, though, was sadly sub-par. I arrived with high expectations but was consistently disappointed in the quality of massages throughout the trip, despite seeking places that seemed reputable and fair to their workers. There was always a feeling of being just another body passing through the assembly line rather than a real human. 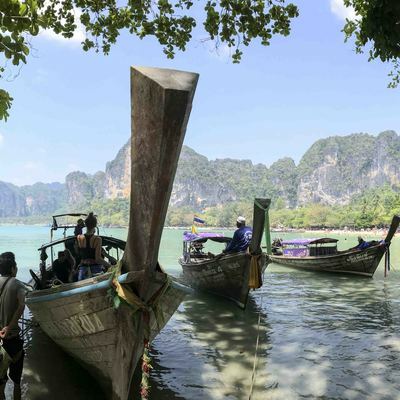 That's the unfortunate reality of receiving pretty much any service targeted to tourists, but empathy is so important in the art of massage and its deficit was a particular detractor. After surviving my first truly local food experience (roadside thali), I managed the long ride back to Panjim to return the bike and catch the overnight bus to Hampi. The ride back passed by estuaries studded with the bones of fishing boats in various stages of repair or decomposition. It wasn't clear if they lay up on the sand in wait for the skilled hands of a craftsman or just the rise of the incoming tide before setting out again. 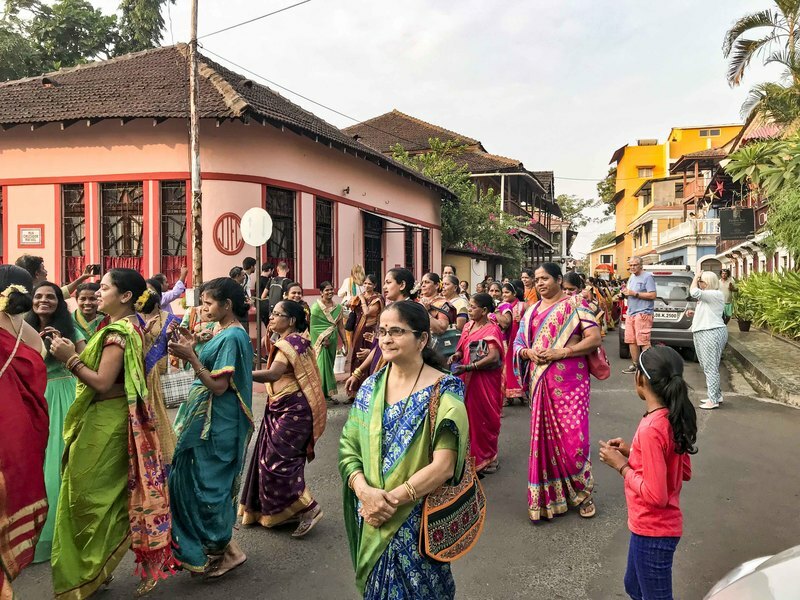 Unexpected upon arriving back in Panjim was the procession of bright colors and singing people which filled the streets with celebration. I have no idea what they were celebrating and it was soon just an echo. All of India was much more about experience than relaxation but I have to be honest that Goa was still a bit disappointing. 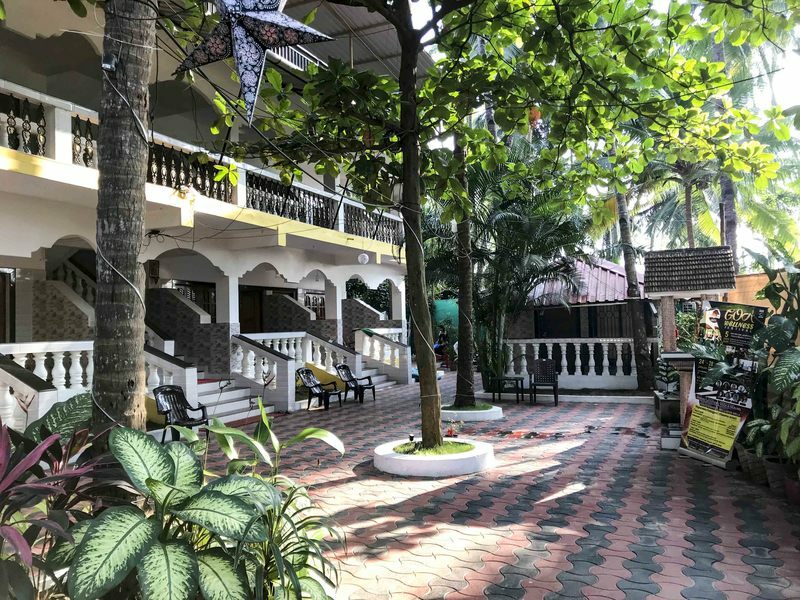 Fed a steady diet of "woke" western writing and Instagram posts of #thegoodlife (or at least #thepartylife) in Goa, I came in with the expectation that it would have beautiful beaches and a mixture of quiet reflection and joyful celebration. 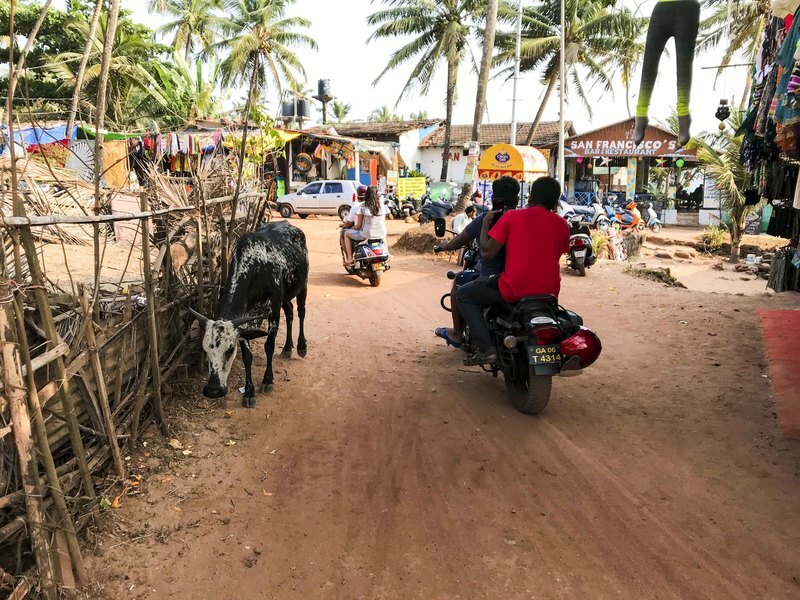 The reality that I experienced, even in Palolem, was significantly less developed, more crowded and more raw in ways whose redeeming characteristics I failed to see. 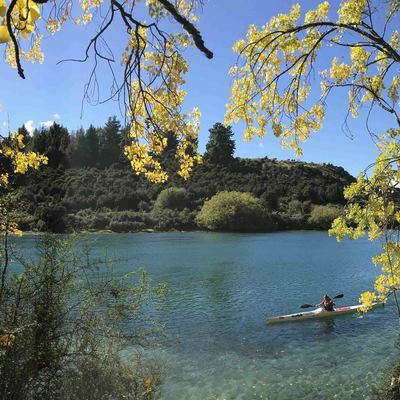 As with so many things, when you pull the viewing angle back a bit from the cleanly cropped shots carried back by other adventurers, tourists and digital nomads, it reveals significantly more humble surroundings. Goa is a small state and one that I still only saw a fraction of, but it's not one I'm in a hurry to get back to.